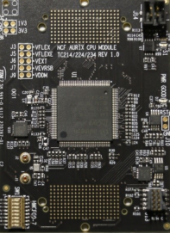 Designed for use with either REDline Carrier board, or as a standalone development platform, this Module can host a number of AURIX™ MCU derivatives. The Module also supports easy integration into the customer’s target platform as MCU pins are routed out to two 200 position pad arrays on the bottom. All important standalone operations are made possible by incorporating essential power conversion, clock, system configuration, programming and debugging connections on the Module itself. 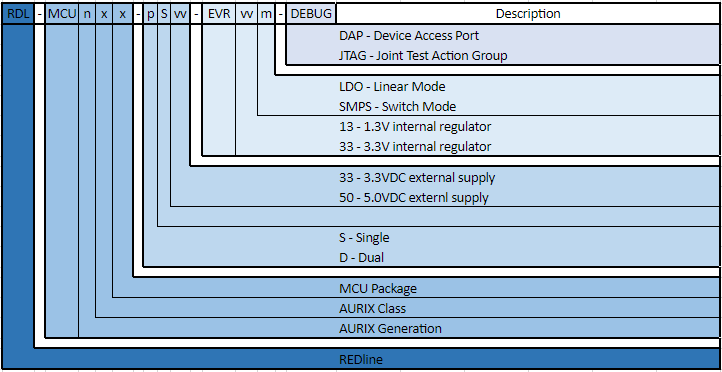 Separated Analog and Digital domains make full use of the MCU’s Analog-to-Digital Converters. The supplied software (Board Support Package) has all necessary parts for MCU boot configuration, start-up, all written in C code. Complete hardware development support: schematics, BOM, layout, gerbers, PCB stack-up, and high-speed design rules. New MCU modules are being made available for other AURIX™ MCU derivatives, contact info@neutroncontrols.com for more information. © 2019 Neutron Controls. All Rights Reserved.